It's always amazing to see yourself featured next to some of your favorite bloggers on a blog you read frequently. 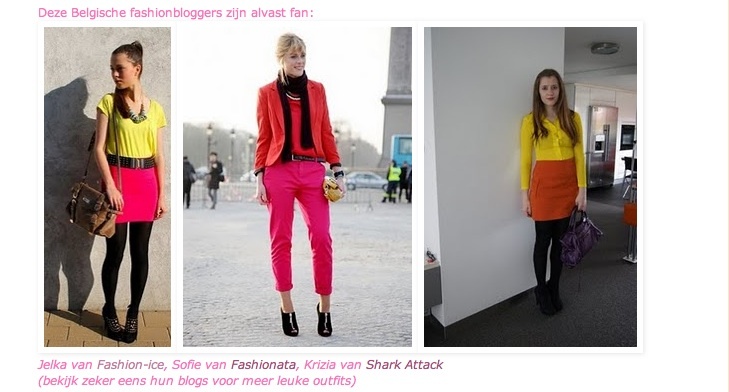 This is what happened to me when Petra featured me next to Jelka and Sofie in an article about color blocking. I can't explain what it means to me when I see others appreciate the things I do. Thank you for the feature, Petra! P.S. : I'll show you an outfit with my Marc Jacobs Mouse Flats in the next post! P.P.S: To see more of Shark Attack's press and features, you can click HERE. Je kleedt je dan ook altijd fantastisch he schat, you deserve it! 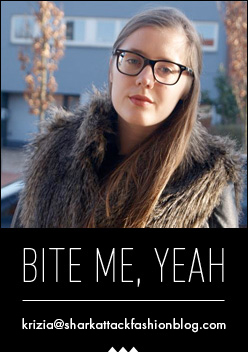 Jep indeed: you deserve it! Like a lot and looking forward to see you marc jacobs mouse flats in the next post! You deserve it!!! Al je looks zijn leuk!